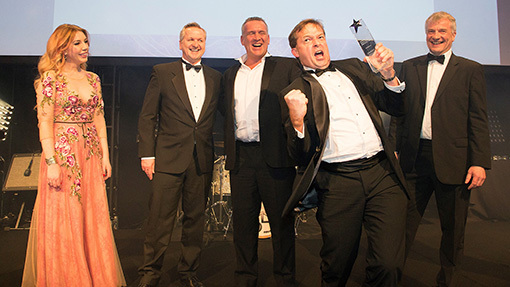 Which are the best general UK business awards to enter? Around 90% of the 3,500+ business awards in our database are targeted, recognising specific departments, people, or industry sectors. However, there is a whole collection of national business awards schemes which recognise the business as a whole, irrespective of industry sector. We call these ‘general business awards’, and they can be found in our Awards List under “Business Awards”. 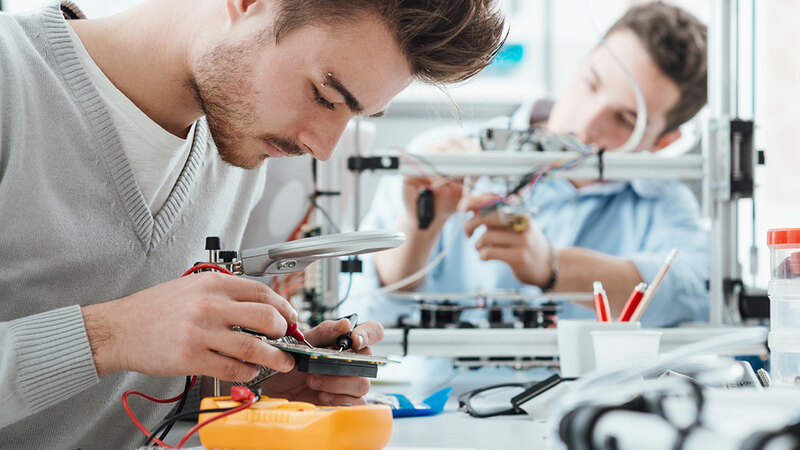 Some of these awards you will probably have heard of, for example The Queens Awards for Enterprise and the National Business Awards, both long-established and highly prestigious recognition for any company. Others are perhaps slightly less well-known but could be more suitable for your company or the stakeholders you are looking to impress. 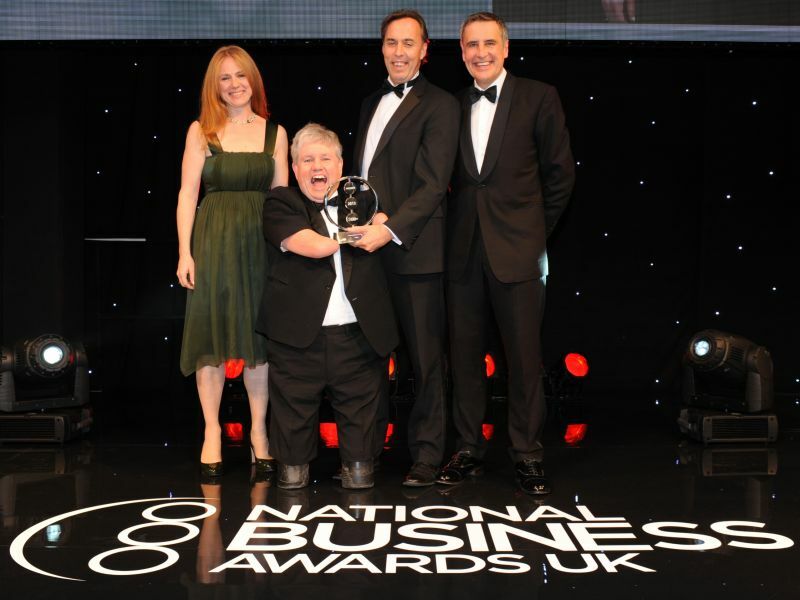 This article will help you decide which of the many national and international business awards out there, are right for your business. We’ve also included a few top tips to increase your chances of winning them. Are general UK business awards right for my company? We tend to find that small to medium sized enterprises (SMEs) who have been around for at least one whole financial year and are experiencing strong financial performance are most likely to enter this kind of scheme, however, it is not always the case as you will read. Some awards are aimed at only the very largest businesses. 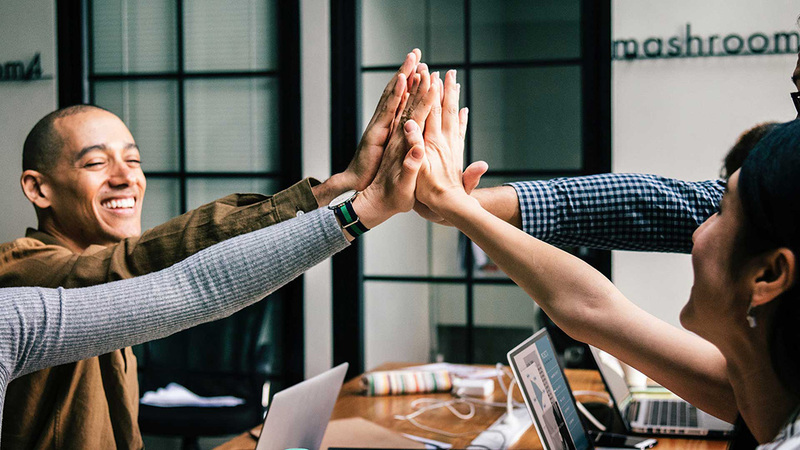 With the vast majority of these awards you will need some vital ingredients: strong leadership, innovation, a happy workforce, happy customers and strong financial performance. You have to tick all the boxes to win the credible awards. With many schemes a few lost marks in any area could leave you out of the running. NB. 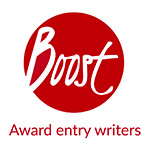 We recommend you consider the Boost awards planning or story review services to ensure you make good decisions here. Regional, national or international business awards? A common misconception is that the smaller the region, the easier an award is to win. This is not the case. We have seen stories win at global or national scale, but fail at local scale more than the other way around. 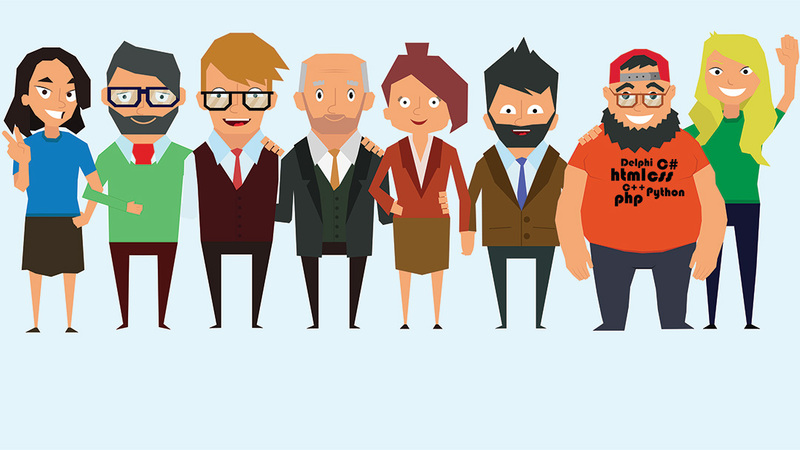 It is certainly true that a local awards scheme will favour a very localised story (focused on a city or county) but if your business has a national story then local awards might not like it as much as a regionally focused story. The exception here is the Chamber Awards which has regional winners and then national winners chosen from the best regional winners. Here national stories tend to do well. Interestingly, awards run in the USA tend to be easier to win because they have loads of categories and gold, silver and bronze awards for each. The reason they do this is because they can’t expect finalists to travel from all corners of the USA or the globe just because they are a finalist. However, people will travel if they know they are a winner. But to fill an awards dinner you need a lot of winners! Now, let’s look at the specific award schemes, but instead of just listing them, consider which of the statements below best describes your business. If you spot one that does, then an award could be yours – if you pick wisely – and submit a knock out entry too (Boost can help here too). Let’s start with this theme – the classic qualities of businesses most likely to win general business awards. This is the first award to focus on, and indeed we have an entire article focused on just these awards. They are superb, credible and winnable awards IF you fall into one of four very specific camps alongside strong financial performance: innovative, exceptional in export, exceptional in sustainability and exceptional in supporting social mobility. If your business is not one of these four things and has enjoyed at least two years of strong financial growth, then skip these awards. These prestigious UK awards, run by United Business Media, have previously included the prime minister, foreign secretary and Bob Geldof as hosts, so it is right to say they are high on credibility. The trouble is, as with many competitive awards, they are extremely difficult to win without help. They are also onerous to enter: the first stage entry process has been made easier in recent years, but there is still a not-very-short ‘shortlist’, and a resource-hungry second stage. In other words, a strong application has a good chance of shortlisting, but unless the face-to-face presentation, angle, evidence, and pitch are extremely strong, a win is a long shot. This is where Boost can help. We have a great track record of success and can help with both stages of your entry. Although sharing a deadline, these awards share little else with their competitors the National Business Awards. These UK-only awards, run by the British Chamber of Commerce, only have one stage – a rather demanding written entry – and then, rather than a shortlist, they have regional winners in all categories. This is generally good news with additional ‘awards’ up for grabs, but the bad news is for those in London and the South East – your region gets loads more applications than other regions, so making it through is extra challenging. Therefore, in summary these awards are highly credible, winnable with the correct approach, yet not too onerous to enter. These UK awards organised by the ‘big four’ global accounting firm PwC (Price Waterhouse Cooper) is very well publicised and popular. Because there aren’t many categories and feature a very short shortlist, the chances of getting a shortlisting is quite low compared to the other awards we list in this article. On the upside there is no second stage to deal with, but many would argue that having a second stage, although onerous for applicants, makes for a more robust judging process. Interestingly these awards are explicitly for private businesses but accept entrants from social enterprises. These are comparatively new awards, co-founded by and named after Don Hales, who also founded the National Business Awards. Run by Awards International, these awards share their trademark format with their other awards: half the marks are earned by the written entry, and half from a face-to-face presentation to a panel of judges on the same day as the awards dinner. These awards are one of the first to successfully apply for a Gold Awards Trust Mark (a new scheme aimed at raising standards and trust in the awards industry), so you can rest assured that the process has been rigorously assessed and adheres to a well researched code of conduct. The July deadline is very similar to many competing schemes, so we recommend writing the entries together. These are also UK-only awards and, as the name suggests, require at least two financial years of accounts to prove strong growth. The scheme hasn’t got many categories and each doesn’t have many finalists either, so the scheme can often leave you with not even a shortlisting if your application is anything short of excellent. It’s written entry only and we have noticed that green-related companies tend to fair well in these awards, so if you are doing the right thing when it comes to CSR and ESG then these would be a good fit for you. These Europe-wide awards are based heavily on the format and entry process of the National Business Awards as they were a few years ago. They have become very credible with a prestigious line-up of judges and winning organisations. For some reason they don’t prove as popular as country-specific awards. Nevertheless, if you have a strong story and don’t mind travelling to present to judges and attend a dinner, then they are worth considering. You might also want to consider these. See details in the next section, below. These US-based awards are dramatically different to similar schemes run in the UK in many ways. Firstly, there is just a single stage – the written entry (typically 650 words, short summary and supporting material). Then there are over 140 categories to choose from, and gold, silver and often multiple bronze awards for each category. So loads of awards up for grabs, but about 3,500 entries each year vying for them. The great thing is while it is an international award, you don’t have to be an international company to enter them, nor do you have to attend the ceremony (unless of course you want to!). The scheme is also unusual in that you are told you are a bronze winner in advance, but only find out if you have won silver or gold on the night. So essentially the huge costs associated with attending an international awards event are easier to justify. Although it does mean sitting through a lot of acceptance speeches to camera. Again, another unusual characteristic as UK awards don’t usually include this. So in summary, fairly credible, great that they are “international” and very winnable. There are a whole load of league table awards which are very easy to enter and your rank is based purely on the financial data you submit. They are not open to all mind you. Some are for listed companies and some are for technology companies only. We’ve listed the main ones below. The Sunday Times BDO Profit Track 100: Britain’s 100 private companies with the fastest-growing profits over the last three years. The Sunday Times HSBC Top Track 100: Britain’s private companies with the biggest sales. The Sunday Times Grant Thornton Top Track 250: Britain’s private mid-market growth companies with the biggest sales. The Deloitte Technology UK Fast 50: The UK’s 50 fastest growing technology companies, based on revenue growth over the last four years. The Sunday Times Tech Track 100: Britain’s 100 private tech companies with the fastest-growing sales over the last three years. These famous UK awards, covered extensively in a dedicated article on this site and outlined above, have a deadline of September and a category specifically for Innovation. This is a relatively new award scheme. The BIG Innovation Awards recognise those organisations and people who bring new ideas to life. Whether that idea is big or small, these ideas change the way we experience the world. Unlike other programmes, nominations are judged by recognisable leaders, not editors or writers with limited business experience. The BIG Innovation Awards recognise every innovation that the judges deem worthy of recognition. Nominations are individually scored by a panel of experts, hand selected by its advisory panel and employees. Boost is truly independent of award schemes and therefore can honestly assess the credibility and suitability of different awards. With this in mind, here is a quick warning before we wrap up. They contact you out of the blue to say you have been shortlisted for an award that you never entered. Either unlimited winners, or numerous categories and subcategories suggesting everyone who enters is a winner. You have to pay to receive a trophy or use the logo. Sometimes referred to as a winners pack or something. They insist there is no charge for the awards, but then push for payment to be included in the winners brochure & marketing. You might be interested to read this Wikipedia article outlining ‘vanity awards’ and pay-to-win schemes. If you are in doubt about the provenance of an awards scheme, please contact us. We are truly independent and will give an honest assessment. 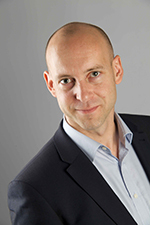 On a positive note, Boost is a co-founder of the Awards Trust Mark initiative (https://awardstrustmark.org/) which is a not-for-profit body that recognises awards schemes that adhere to a code of conduct for ethics and transparency. The goal here is to identify and highlight the most ethical awards out there and enhance public trust in the awards industry as a whole. Do any of these make you think “That’s us” or “We could win that”? If so, then I recommend you let us help with the creation of your written submission. We’ve been helping businesses enter awards since 2006 and are more experienced than any other agency in the world when it comes to these awards. Details of our award entry writing services can be found here. Boost Awards is the world’s first and largest award entry consultancy, having helped clients – from SMEs to Multinationals – win over 1,300 credible business awards. Increase your chances of success significantly – call Boost on +44(0)1273 258703 today for a no-obligation chat about awards. Please take a look on our UK Awards List and International Awards List websites where you can find many more national and international business awards (amongst thousands of others covering all industry sectors and regions). 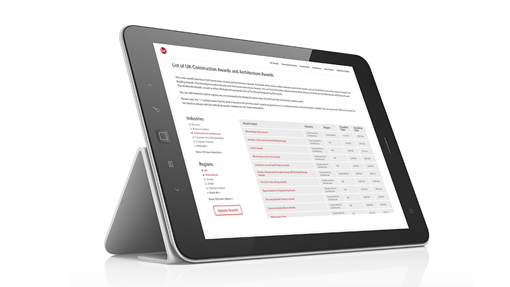 Please take a look on our UK Awards List and International Awards List websites where you can find many more employer-related awards (amongst thousands of others covering all areas of business). Would you like me to give you a call about entering Business Awards?